Depart at 12.30pm Total walk length: circa 7 km (4.5 miles) Return: circa 15.30pm No booking required for this walk, just turn up. Please wear appropriate footwear for walking on country paths, it may be bit muddy. 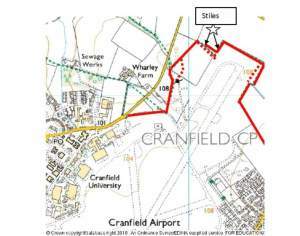 Our walk on Sunday afternoon aims to introduce new students to the joy of walking to Cranfield village using a public footpath. This route is about 2.5 km one way and is a perfect running route, provided it is not too windy as it is quite exposed. 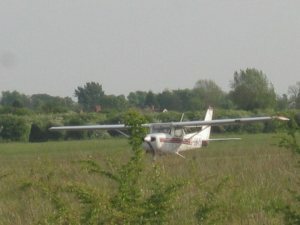 The footpath from Cranfield University to Cranfield village circumnavigates the airfield. It the village we will be stopping at the local Co-operative supermarket; having a peak at the Forest of Marston Vale; and walking a section of National Route 51 of the National Cycle Network. The aim is to be back at Cranfield University just on time for the start of a student tea party organised by the Community Development Office. 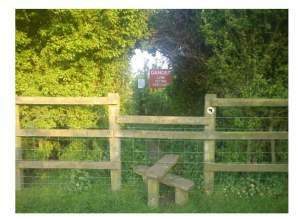 This entry was posted in Blog, Walks and tagged co operative supermarket, country paths, Cranfield airport, Cranfield sudents, Cranfield University, Cranfield village, footpath to Cranfield village, public footpath, transportation, travel.